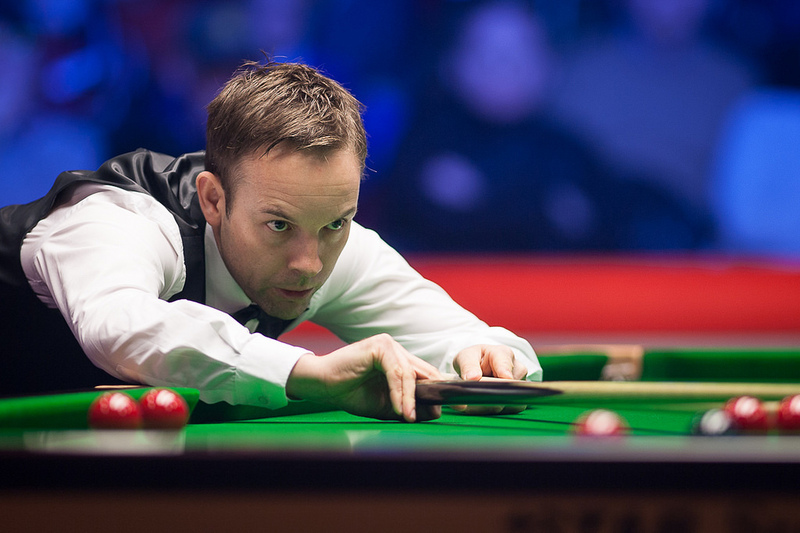 Ali Carter defeated Jimmy White 10-4 at Betfred World Championship qualifying to book his place at snooker’s Judgement Day in Sheffield. The Captain is aiming for a 17th consecutive Crucible appearance, having not missed out on the final stages since 2002. Last year Carter recorded a memorable win over Ronnie O’Sullivan in a fiery encounter during a run to the quarter-finals. However, he dropped out of the world’s top 16 this term, causing him to require this week’s qualifying event. Legendary six-time Crucible finalist White and his passionate fanbase must now face the reality of another year without a trip to the Theatre of Dreams. The Whirlwind’s last appearance in the final stages of the World Championship was 2006. Defeat this evening sees White drop off the circuit and he will now need to rely on getting another invitational tour card or coming through Q School to return next season. White had looked good in the early stages, as he aimed to extend his bid for a return to snooker’s biggest tournament. He took a 3-1 lead in the opening session, but eventually fell 5-4 behind when play ended. When they returned this evening the nerves appeared to be setting in for ten-time ranking event winner White, who missed several opportunities. Carter took full advantage to claim five consecutive frames and ease over the line. Afterwards Carter admitted that if he can come through the final round and qualify he would like to renew last year’s hostilities with O’Sullivan. Carter said: “I hope I qualify and I’d love to draw him in the first round. I thoroughly enjoyed playing him last year. He is the man now. He is winning anything he enters. I’d just turn up and give it my best shot again. But I can’t get ahead of myself. This next match is massive and I’d just be delighted to qualify. Carter will face world number 102 John Astley over the best of 19 frames for a place at the Crucible. Astley came through a 10-6 victor against Welshman Michael White and fancies his chances of breaking the two-time world finalist’s streak of consecutive Crucible appearances. The Scot’s form has taken a hit this season and he hasn’t made it beyond the last 16 of any ranking event. However, he hopes that a new training unit set up with compatriots John Higgins and Stephen Maguire can spark a return to his best snooker. McGill said: “It has been good preparation for this week. I’ve been in for a month now, practising with both of them every day. We have only been in for a short period, but give it six months and we will really start seeing the benefits. Robert Milkins will face McGill on Judgement Day after he defeated Thailand’s Sunny Akani 10-5. While Joe Perry thrashed Zhang Yong 10-1 to progress and book a final round clash with Martin O’Donnell, who came through 10-8 against Alan McManus. Eden Sharav secured a huge victory after battling back from 9-6 down to defeat former Crucible semi-finalist Ricky Walden 10-9. His last round opponent will be Zhou Yuelong, who beat Liam Highfield 10-5. China’s Tian Pengfei secured a shock 10-3 win over world number 17 Ryan Day and will now face Matthew Stevens on Judgement Day. Stevens came through after a hard fought 10-7 defeat of Chris Wakelin. The final round will be on Tuesday and Wednesday, with sessions at 11am and 5pm on both days. Wednesday will see all 16 matches played to a finish. You can tune into all of the action with our extensive Judgement Day coverage which will be streamed live on our YouTube and Facebook channels. It will feature multi-table coverage of all matches and interviews with players, with expert analysis and commentary from Rob Walker and Neal Foulds. Excitement and drama are guaranteed as the action unfolds! For a full match schedule click here.